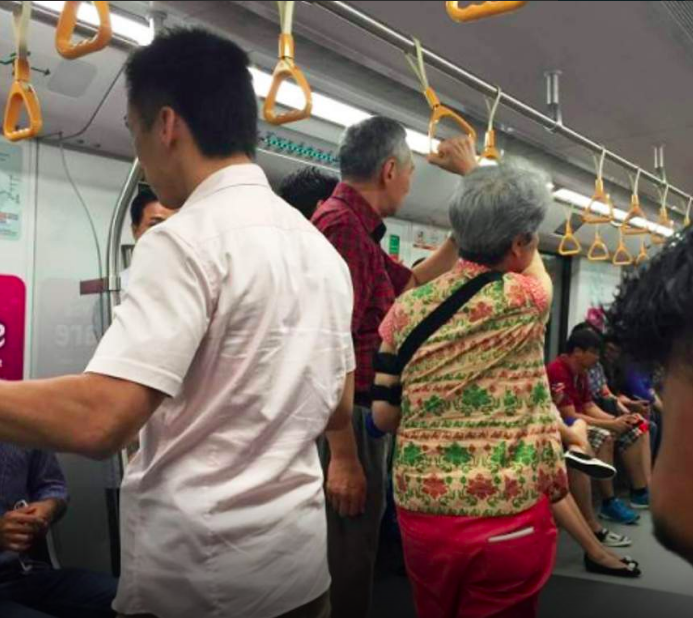 A photograph taken of Singapore’s Prime Minister Lee Hsien Loong and his wife Ho Ching riding the MRT two years ago has resurfaced once again, with many netizens urging Prime Minister Lee to walk the ground in order to further understand the people’s sentiments with the next General Election to be held in late 2019 or in the year 2020. Curiously, many also pointed out that no one gave up their seats for Prime Minister Lee or his wife. The photo, taken in February 2016 was accompanied with a caption by a commuter. Chan Chee On said, “I was surprised to see PM Lee and his wife Ho Ching take the train today. I was more surprised to see that many people did not recognise them, or greet them. The security person though looked very nervous”. Chan added, “It is encouraging to see our Prime Minister take the train like that to see how ordinary people live”. A few Singaporeans were quick to point out that it was indeed an old photo, but others felt that Prime Minister had an agenda for taking the MRT along with the rest of the Singaporeans.